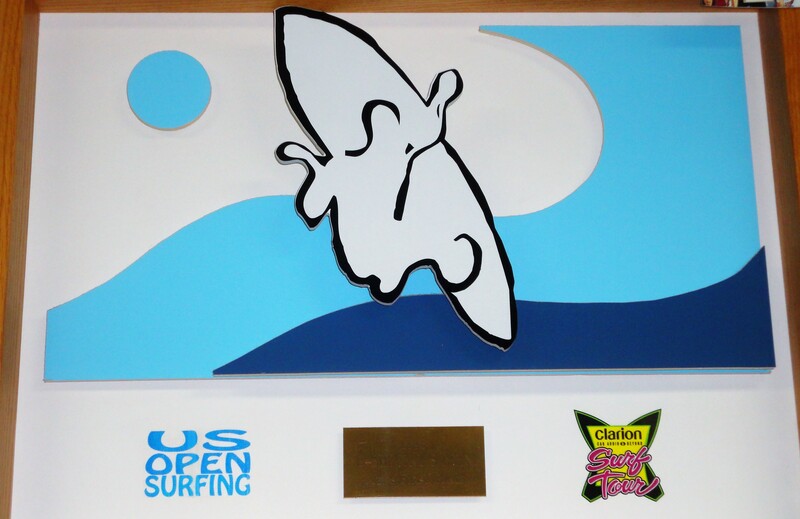 ← The Year of the Bird! 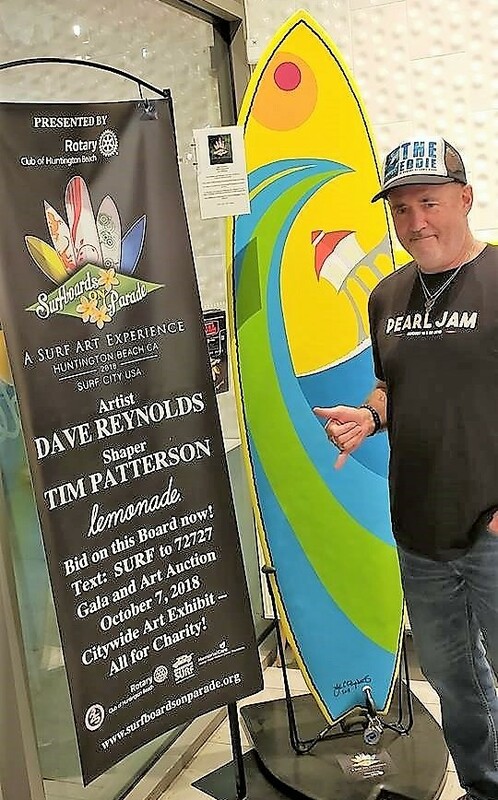 Surf artist Dave Reynolds turns blank canvas and pieces of wood into works of art that capture the beauty and force of the ocean world he loves. 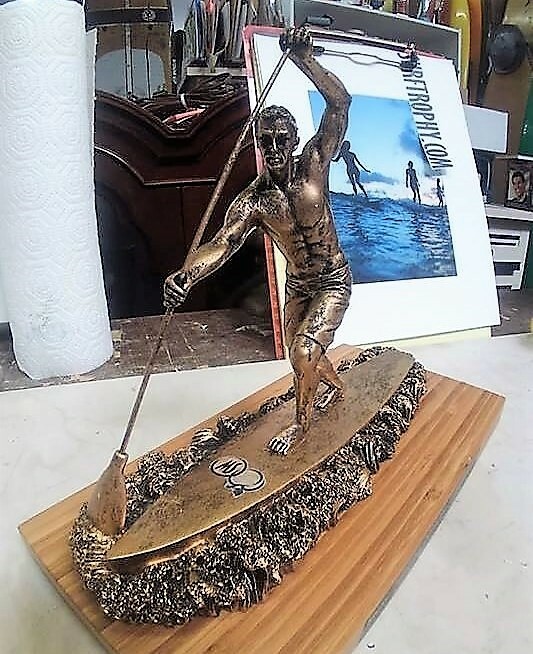 A true Renaissance Man of the surfing community, Reynolds’ talents and interests run the gamut from creating bold paintings and sculptures to trophies awarded at major surfing events, including the US Open of Surfing and upcoming Mavericks Big Wave Challenge. 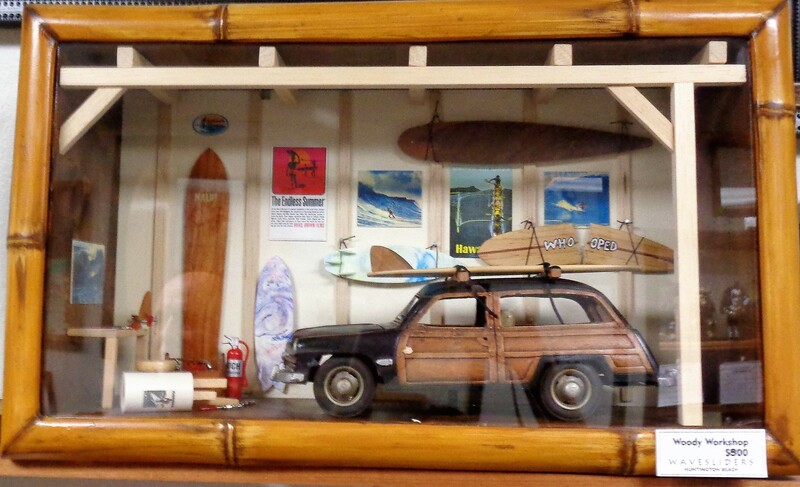 He’s also known for his handmade chess sets with surfboard pieces and customized, surf-themed pinball machines. A minimalist style painter, Reynolds turns a few, deft brushstrokes into masterpieces. 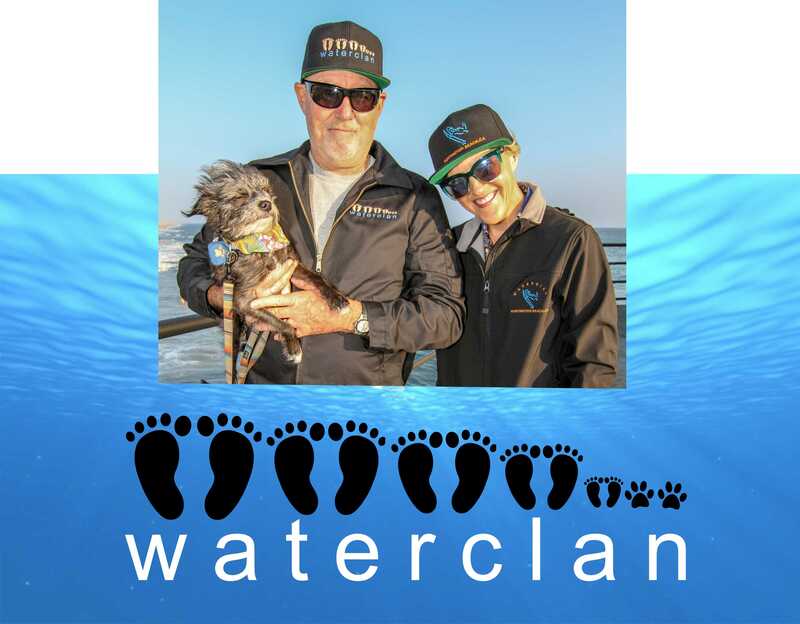 Whether it’s a champion surfer, fanciful water creature or giant wave, his goal is to “use the least brushstrokes or lines to bring it to life. 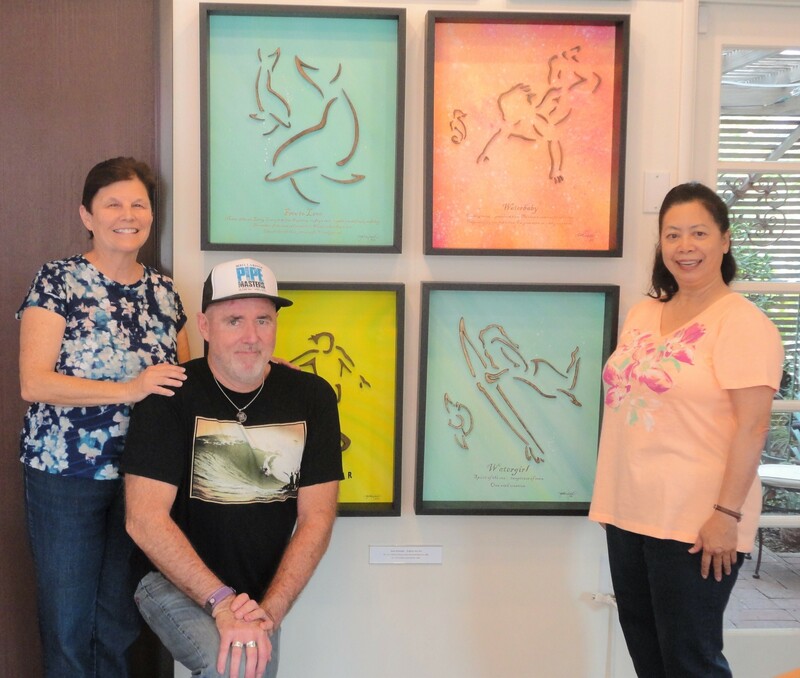 Somehow, when your mind sees just the basic lines, it fills in the rest,” says Reynolds. 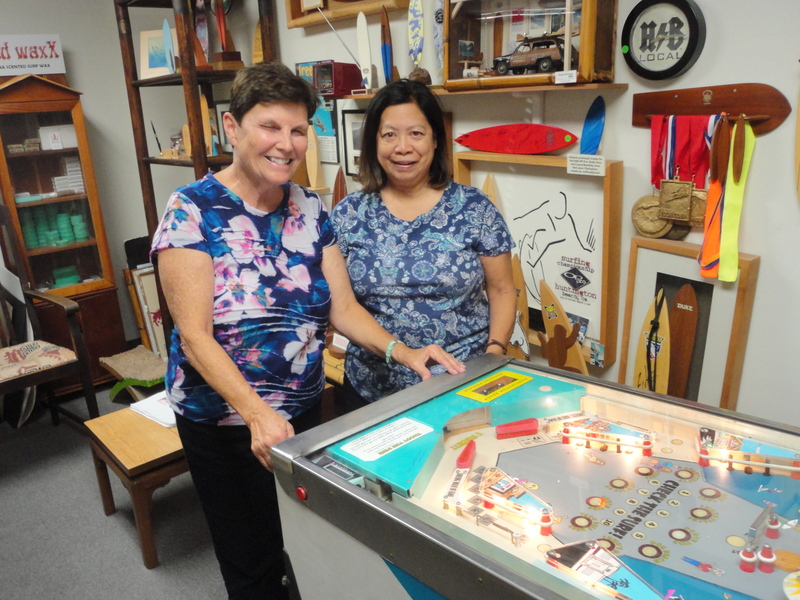 After seeing his works at various SoCal exhibits, SurfWriter Girls Sunny Magdaug and Patti Kishel were excited to finally visit Reynolds’ studio in Huntington Beach. 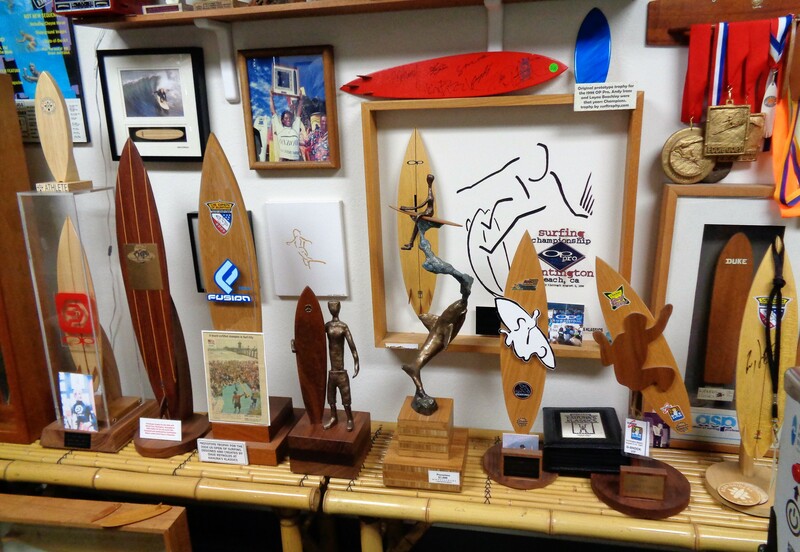 Everywhere we looked there was something creative and colorful from tiny, miniature paintings to giant, wall-size paintings and his collection of surf memorabilia and surfboards. 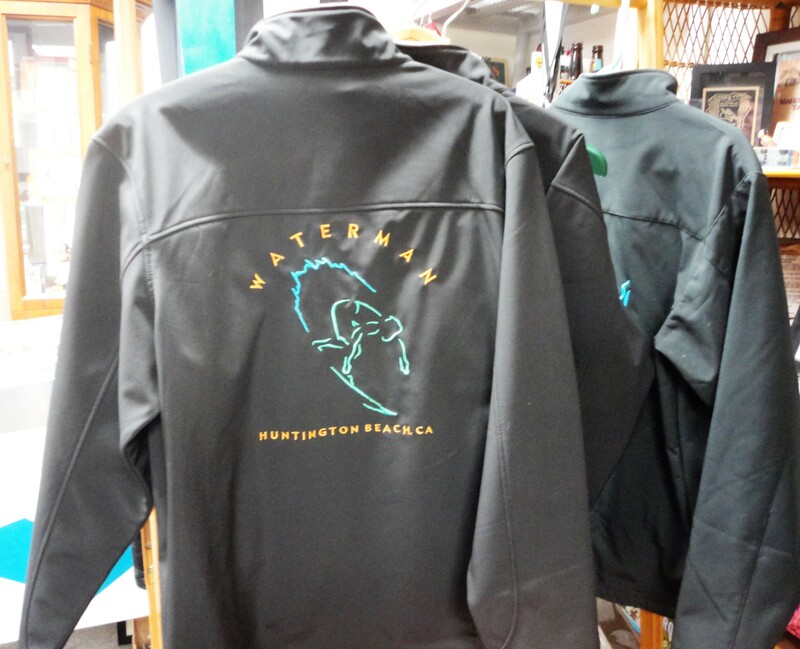 Adding to his repertory, Reynolds and his friend Tom Gorey recently started a line of WaterClan clothing featuring his aquatic designs. 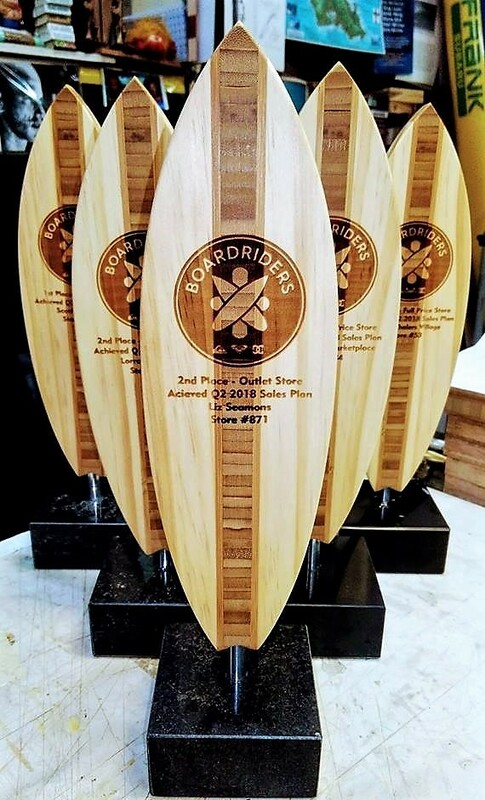 A believer in giving back to the community, his decorated surfboards have been auctioned at the annual Huntington Beach Surfboards on Parade event to raise money for Operation Surf, a charity that takes military veterans surfing. 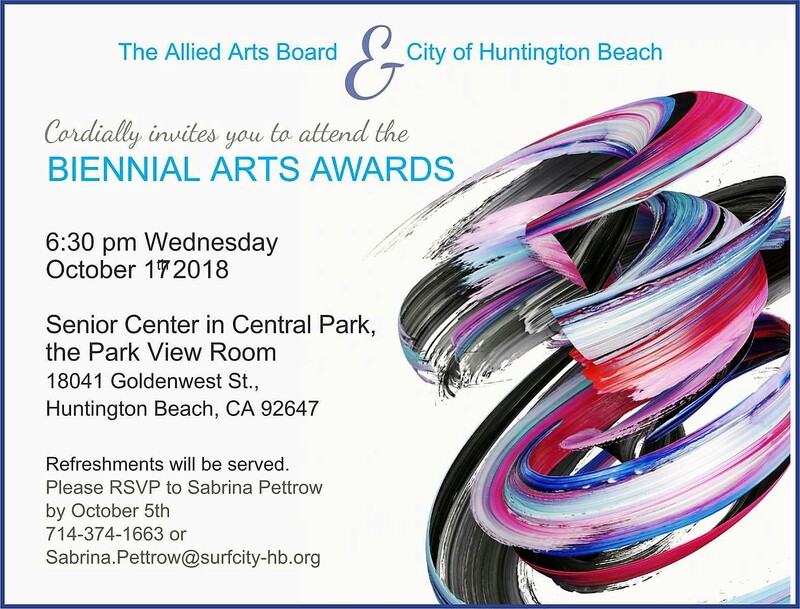 And this year, HB is honoring Reynolds as a Biennial Arts Awards recipient. 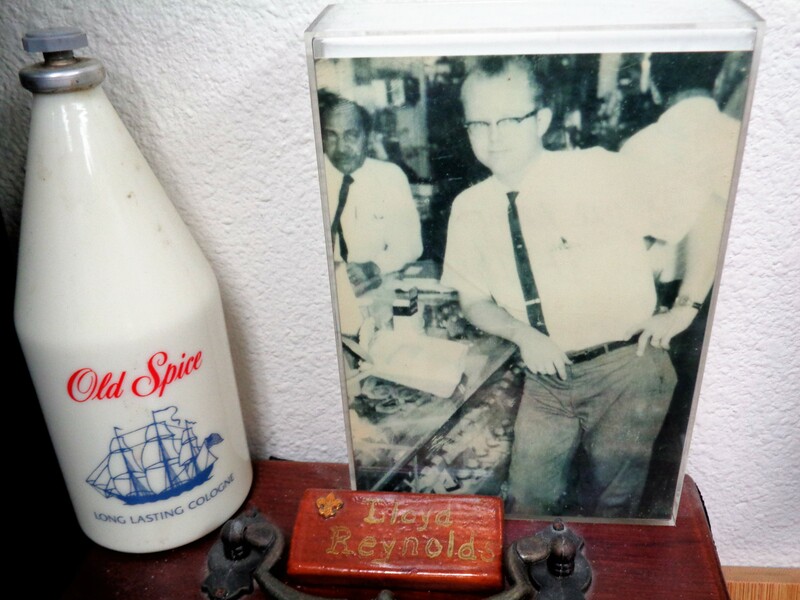 Interested in art since childhood, Reynolds says, “My dad was one of my biggest fans.” Managing the Thrifty Drugstore in Buena Park, CA, Lloyd Reynolds inspired his son’s strong work ethic. 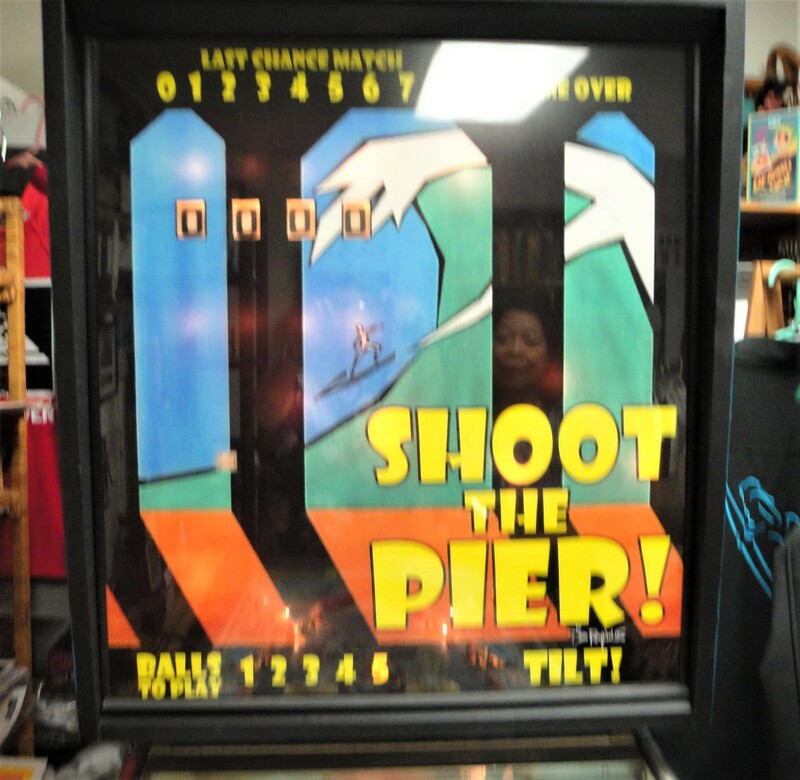 “In the summer I used to help out in the store scooping ice cream cones. 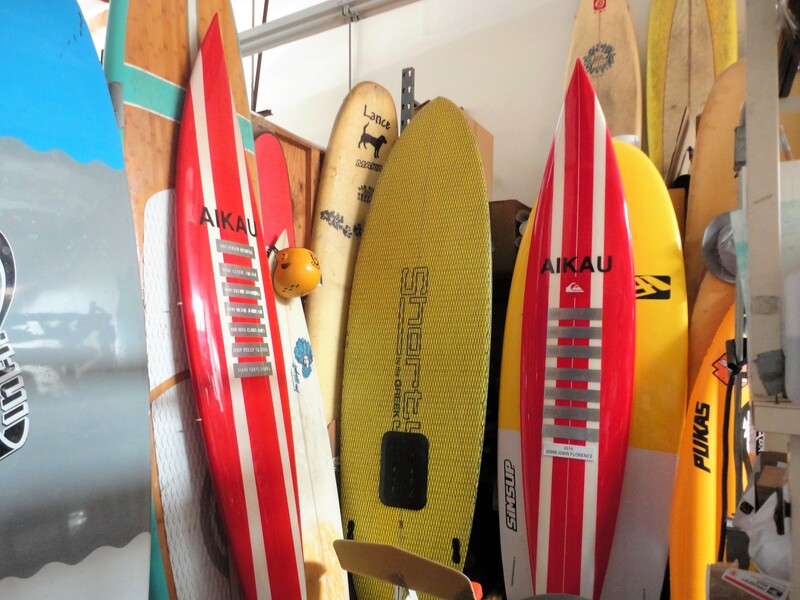 They only cost five cents then,” Reynolds told SurfWriter Girls, showing us a photo of his dad at work and a bottle of the Old Spice cologne he wore each day. 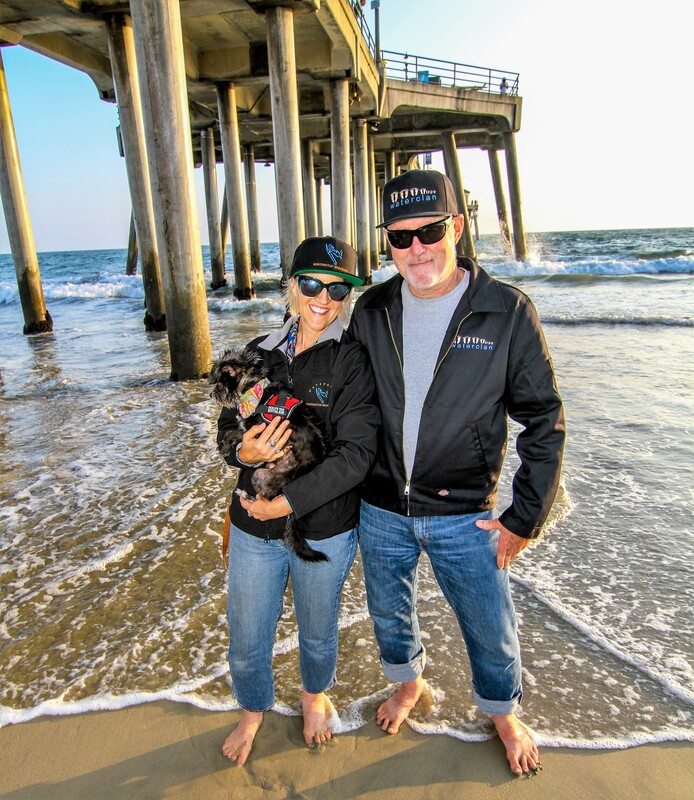 When Reynolds isn’t catching waves (his nickname is “Tuberider”), he enjoys spending time with his wife Kellie and their surfing dog Bandit – a rescue dog that Kellie found. 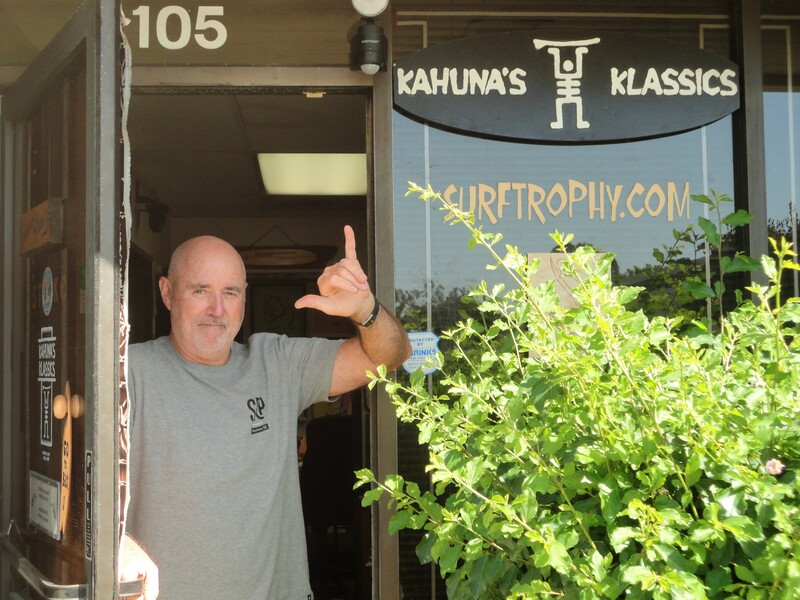 Reynolds and Kellie met at the Wahini Kai and Longboard Surf Club’s Christmas party eleven years ago. 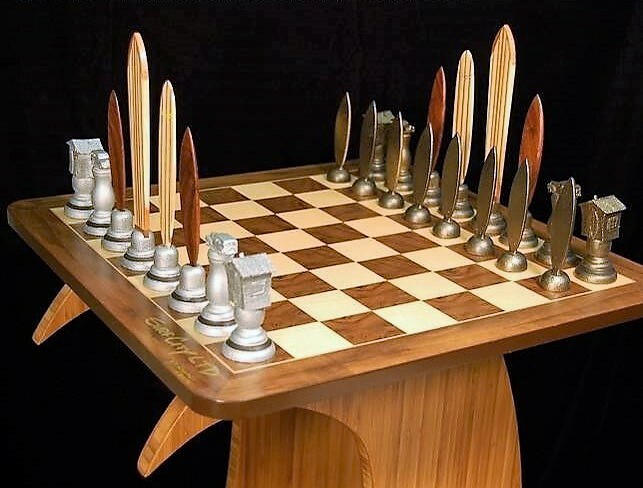 Six weeks later they got married. 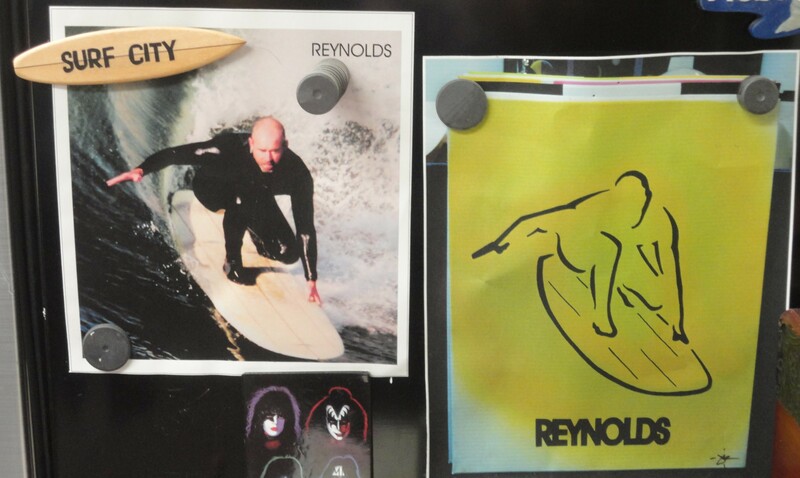 You might run into Reynolds at a Pearl Jam concert, too. 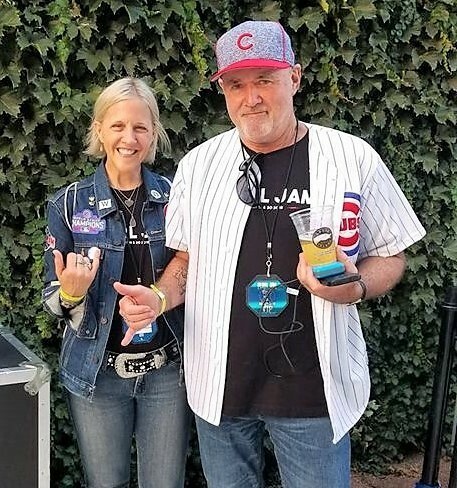 A big fan of the rock band, he became friends with lead vocalist and guitarist Eddie Vedder when he made some trophies for him. 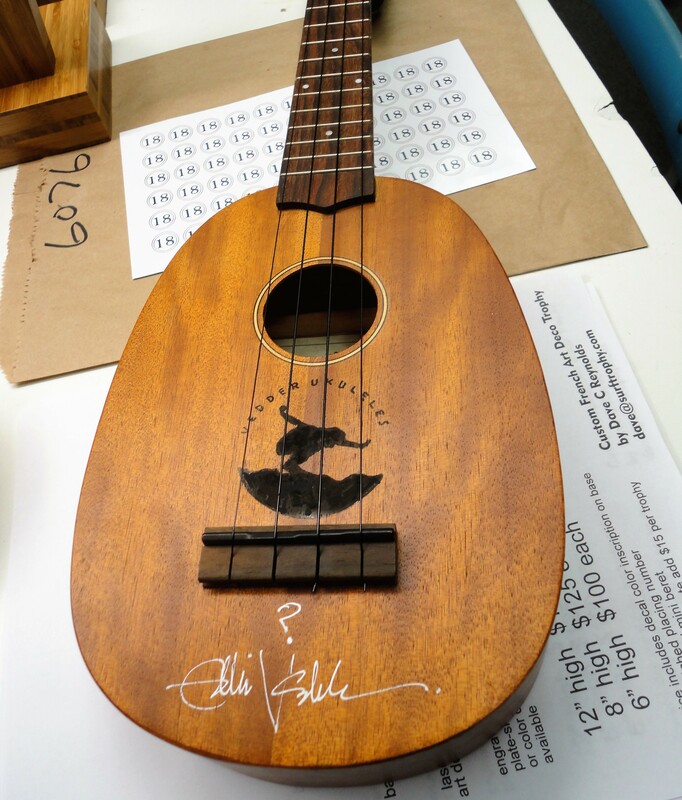 Vedder signed and added his own art to this pineapple ukulele that Reynolds customized. 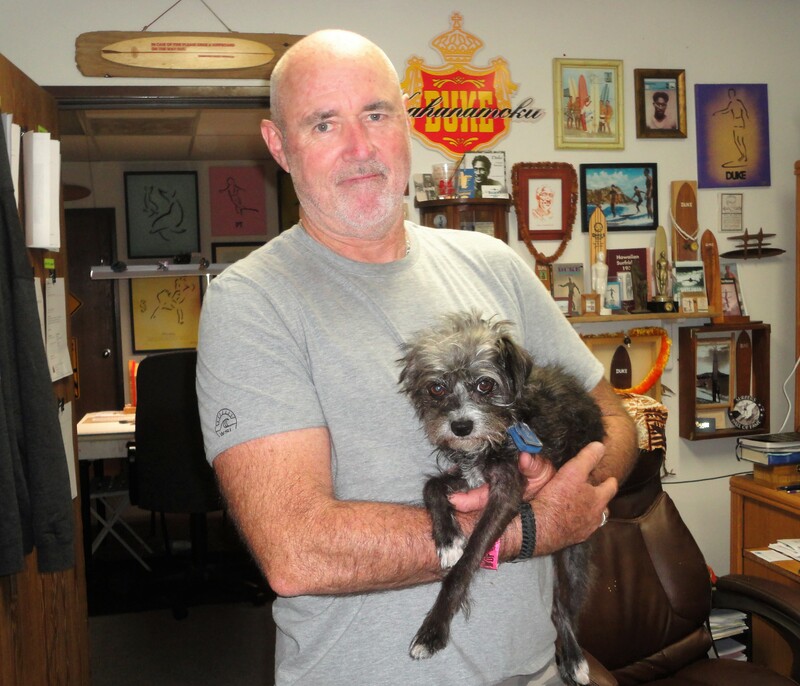 And, in his art studio, you can always count on Dave Reynolds to be turning out something new…helped by his canine buddy and collaborator Bandit!